In his most recent interview, The Rock opens up to The Daily Star. The actor, wrestler, and all-around nice guy denied that an apparent interview with a United Kingdom news outlet ever happened after he was quoted as accusing people of being too sensitive. 'Earlier today, an interview dropped, apparently with me, where I was insulting millennials. Nonetheless, Johnson says he's a free speech advocate who will tolerate the snowflake culture, even as he believes it is damaging democracy. "So to the millennials, the interview never happened". An interview was published by The Daily Star UK and during the exchange, The Rock supposedly shared some thoughts about the snowflake generation and how they were putting us backwards. "Completely fabricated. Kindly check out my last response I just posted re the false interview". 'I was quite baffled when I woke up this morning, ' he added. "Have a good day". The 46-year-old actor and professional wrestler has hit out at the younger generation, claiming they are ruining the hard work of people who "fought for freedom and equality", by trying to find more reasons to be "offended". 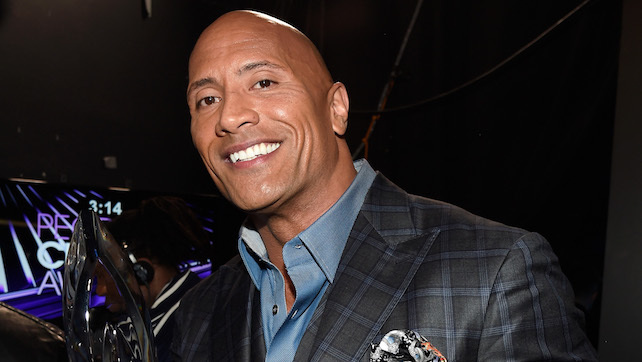 Dwayne "The Rock" Johnson is calling out what he calls "generation snowflake", saying people are looking for reasons to be offended. "Rock said his piece and he's moved on from it, and it wasn't up for debate", he said. I always thought the troops were protecting our right to believe what we want to believe and say what we want to say (you know, the First Amendment), so technically that is a small bit of what so many great men and women fought for, but okay, The Rock! It seems like we do live in a generation of people who are looking for things to complain about. You can view the full video above.